The PS Vita is probably my favorite handheld system of all time. And that’s saying something, because when it comes to handhelds, I’ve been a loyal Nintendo fanboy for many years. But the PS Vita really is about all you can ask for from a handheld, and I actually feel a bit sad for Sony that it didn’t catch on a little better. It actually did pretty well in Japan, and mine is a Japanese system, bought on one of my trips there. At the time, there were rows and rows of PSP games and accessories at every electronics store (I bought mine at a BIC Camera), which was completely opposite of the situation in the US. Even game stores in the US only had maybe one shelf devoted to PS Vita games, and you were lucky if an electronics store or department store carried it at all. The game library’s actually pretty incredible too, especially when you add in all the PSP and PS1 games you can play on it. But even its own library includes stuff like Persona 4: Golden, Virtua Tennis 4, Uncharted: Golden Abyss, Dead or Alive 5: Ultimate, and the amazing Puyo Puyo Tetris, to name just a few of my favorites. The cross-console ports look and play just like the real thing, with basically no loss of fidelity (none you’d notice, anyway). It’s just a fantastic little system, and one I can see myself still playing many years down the line. 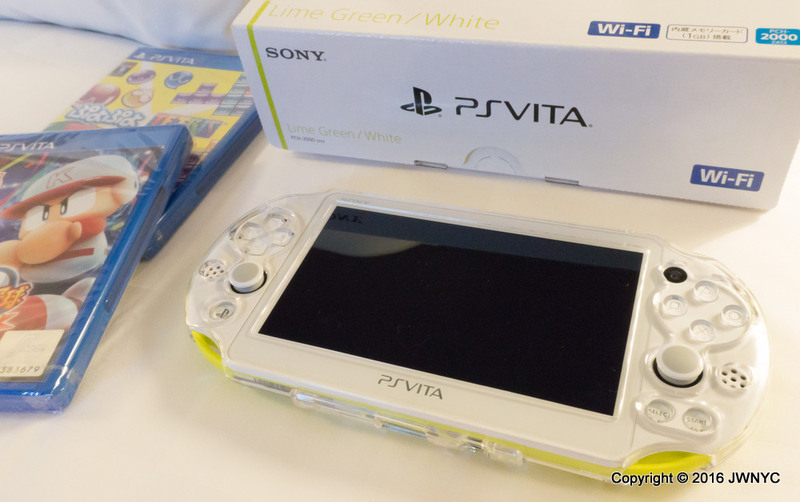 With mobile phone gaming really cannibalizing handheld gaming sales these days, I have my doubts that anyone’s really going to top the PS Vita anytime soon. I’d love to be proven wrong, but at the moment the PS Vita really is the ultimate handheld.